Do you have experience working with Aesthetic Brand Marketing? Do they deserve to be on the top of the Best Web Design Companies list? What do you think of SilvertonMD.com? Leave a comment below. 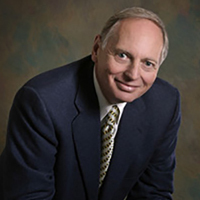 Dr. John S. Silverton’s job is to make people more beautiful. So when he enlisted Aesthetic Brand Marketing to give his dated website a modern, mobile friendly redesign, he expected it to be more than just a more intuitive user experience – it also had to be just that: more beautiful. The result is a responsive website redesign that’s easy to navigate and even easier to look at. The job of Dr. John’s website is two-fold: make people understand exactly the services he offers, and get them to purchase those services. He is a plastic surgeon – a fact made immediately evident on the front page above the fold that features a rather attractive half-naked female with the words, “The EXPERIENCE & ARTISTRY to create a more beautiful you” positioned next to her. From an effectiveness perspective, it couldn’t be more on the nose. However, the unevenness of font weight, size, and strange capitalization choices prevent it from earning top design marks. Aesthetic Brand Marketing redesigned my new website. They have exceeded all my expectations and continue to exceed them. They are quick to respond. They have also taken over my eblast marketing and they vastly improved the appearance of my emails. They also write 2 blogs a month and they have a written marketing plan for the next 6 months. I am very pleased with their help, courtesy and knowledge. The ‘below the fold’ section of the front page does well to neatly list Dr. John’s featured services, tell a bit about him and his practice, and make it easy for users to contact him for a consultation. A sticky header does well to keep other important navigation elements at arms length (including an appropriately visible address and phone number at the very top. The “About Us” tab in the top menu is where things fall apart a bit. The drop-down menu features an odd mixture of about 6 items ranging from “Patient Resources” to “My Paintings.” The latter being a link to a series of oil paintings Dr. John himself created. They aren’t bad paintings, but they feel out of place on a website trying to sell him on being a good plastic surgeon. We understand the connection trying to be made here, it just didn’t work quite work. The other top menu items are straightforward and work well. They take you exactly where you’d expect them to take you and are consistent in design presentation. The “Contact Us” sidebar is always aligned to the left of the content area, making it easy for users to skip a step if or when they decide to make contact. Success! For the most part, anyway. We took the mobile version of Dr. John’s site and it works just as well as you’d expect. Menus are easy to navigate, before/after galleries and testimonials are easy to find, and making a phone call never more than a thumb tap away. The only frustrating encounter was on the “gallery” sub-page, the responsive top menu and header didn’t disappear into the top of the screen, making it difficult if not impossible to view the content. Every other page worked perfectly, so it wasn’t too much of a distraction. Very good! A 92% PageSpeed score is nothing to frown at, and Aesthetic Brand Marketing has done extremely well to optimize all corners of the site’s structure. My experience moving around the site reflected this high PageSpeed Score. We was never left waiting for content to load and the front page was snappy and void of any unnecessary bells and whistles that are notorious for slowing things to a dribble. It’s a clean website with clean responsiveness. In the end, the website redesign performed admirably. Aesthetic Brand Marketing met all of Dr. John’s expectations and absolutely knocked it out of the park from a curb-appeal standpoint. It’s a fun site to navigate and a fun site to look at – two things that Dr. John hopes to reflect in his own work. A few odd navigation choices and mobile bugs are the only thing holding it back from being truly exceptional.